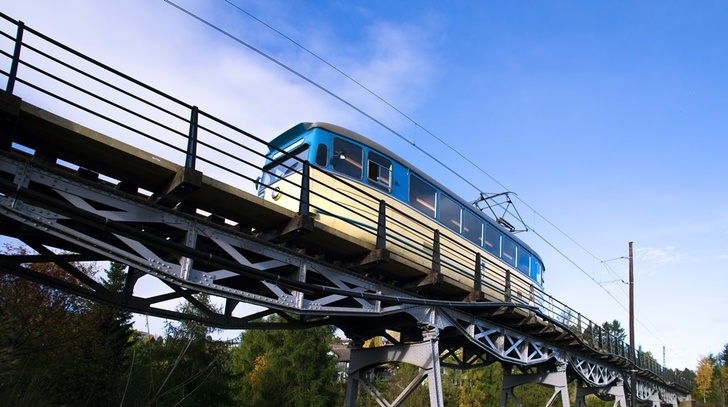 Our charter trams provide a characterful and different start to your event. The world’s northernmost tram can take you and your guests to Lian and back again as required. It is suitable for all types of events, including awaydays, parties, birthdays, weddings and team building events. Our yellow and blue charter set from the 1950s has 82 seats, small tables and a guide microphone and is ideal if you require catering on board. We are licensed to serve food and alcohol. Board a genuine, old Gråkallbanen carriage, an old suburban tram with compartments and sliding doors. This tram is perfect for those wanting to travel on an historic, authentic tram with a guide on board. The tram can seat up to 76 people. For those special occasions we can create an exclusive outing for up to 24 guests on board an old Singsaker tram from 1914. Guests will be able to travel in the style of a bygone time, when tickets cost NOK 0.15 and passengers sat on wooden benches. The final destination for many travellers is Lian Restaurant. We are happy to take you there on board one of our charming, old trams. Our charter trams are licensed to serve food, beer and wine if you want to add a dining experience to your journey. The carriages have tables between the seats, a pantry and a guide microphone. You can also combine a tram journey to Lian and a reception in Lian Restaurant with a return trip by coach.